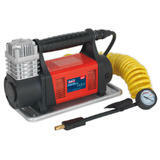 • Heavy-duty mini air compressors with delivery of 75ltr/min. 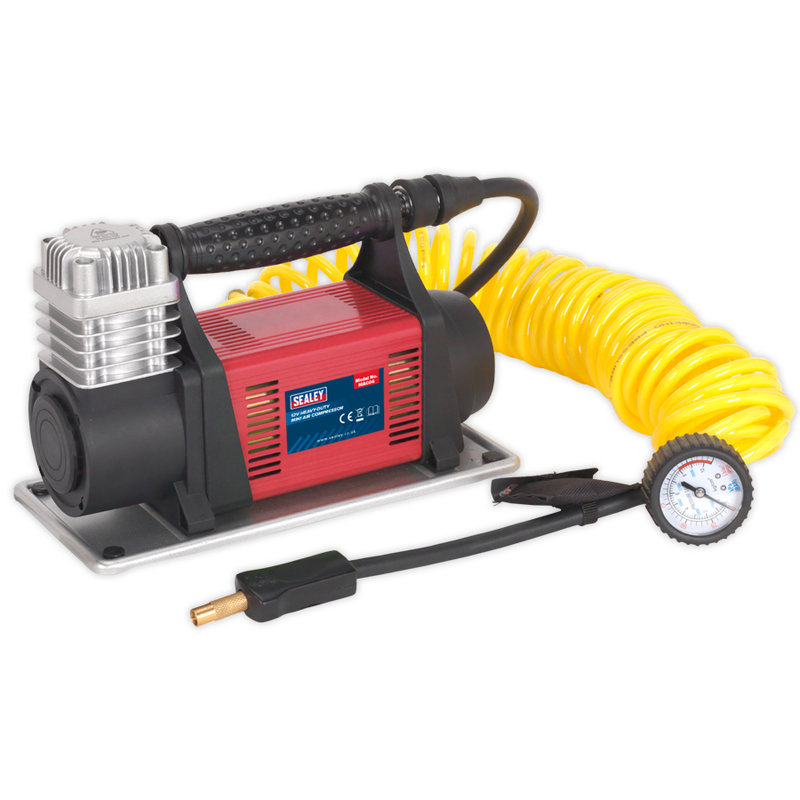 • Air output hose features quick release coupling. 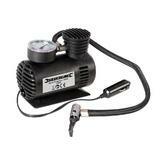 • Suitable for inflating tyres on cars, vans and 4x4s. • Supplied in a storage bag with 3mtr power cord with clamps for use on 12V battery, 7.5mtr high pressure hose with screw-on connector and accessory kit including ball needle and adaptors for inflatables.